London, United Kingdom – On the heels of the record-breaking and critically acclaimed release of Pokémon™ Black Version and Pokémon White Version video games for systems in the Nintendo DS™ family, The Pokémon Company International today announced additional details about the highly anticipated 2011 Pokémon™ Video Game Championship Series featuring the blockbuster new titles. Pokémon Trainers will descend on Pokémon Video Game Championship Series’ locations across Europe from June 4th and the United States from May 14th to battle in intense head-to-head competition with one goal in mind—securing a place to at the 2011 Pokémon World Championships August 12th–14th in San Diego, California. The 2011 Pokémon Video Game National Championships kicks off in Europe on June 4 in Birmingham, UK before heading to Italy for the first time ever, Spain, France and finally Germany. The top eight finalists in each division from each of the five European locations will earn guaranteed competitor slots at the 2011 Pokémon World Championships. In addition to invitations to the World Championships in San Diego, top finishers in Europe and in the U.S. will receive travel allowances, special medals and Pokémon prizes. The 2011 Pokémon Video Game Championship Series kicks off in the U.S. on May 14th in Seattle, Washington, before making five more stops in major cities across the country. At each location, the top 16 players from each division will earn invitations to compete at the 2011 Pokémon U.S. National Championships July 8th-10th in Indianapolis, Indiana. 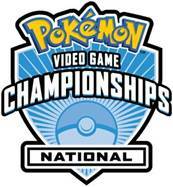 Players at the National Championships will battle to secure a top eight finish over the weekend, and in return, receive a guaranteed competitor slot at the 2011 Pokémon World Championships. For Europe, 2011 brings an increase in the overall number of competitor slots, along with a new age division and revised age brackets. The divisions now separate into three age categories: Junior (players born in 2000 or later), Senior (players born in 1996, 1997, 1998, or 1999), and Masters (players born in 1995 or earlier). Competitor slots have been increased this year to 256 for the Junior division, 256 for the Senior division, and 512 for the Masters division. All are based on a first come, first served basis. Players competing in Europe will need to play the European versions of Pokémon Black Version or Pokémon White Version video games, and can only use Pokémon from the Unova Pokédex to battle (from No. 001–148, and No.151). At all European National locations, Junior and Senior Division lines open at 8:00 a.m. and close at 8:30 a.m. The Masters Division line opens at 12:30 p.m. and closes at 1:00 p.m.
*Last Chance Qualifier for the 2011 Pokémon World Championships will be held August 12th at the Hilton San Diego Bayfront. For more information about the Pokémon Video Game Championship Series, including rules, tournament locations, dates and times, prizes, and more please visit: www.pokemon.co.uk/vgc.